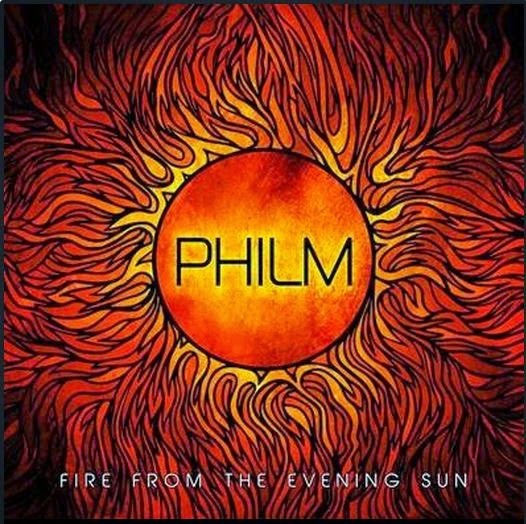 MetalRockNews: Philm documentary about the making of "Fire From The Evening Sun"
Philm documentary about the making of "Fire From The Evening Sun"
Rick Kosick said: "Philm recorded the drum tracks for 'Fire From The Evening Sun' at the House Of Rock studios in Santa Monica, California, the home of the late actress/singer Kathryn Grayson. This studio/home is amazing; it has a great vibe, which makes a comfortable working environment." "When I was filming, I had no idea that Dave Lombardo was going to lay down all twelve drum tracks in one day. Impressive! What I remember from that day was that Dave was really focused, and he had this look on his face that he meant business. I’m still surprised that he didn't tear a hole in his drumhead, because he was playing like a madman. Pancho and Gerry were both on top of their game that day as well, and three of them executed everything without any problems. I mean, what can you expect from professionals, right?" "I'm happy how everything turned out with this video, and what a great opportunity to be able to document this important process of making an album."